MATTOS, Cleofe Person de. 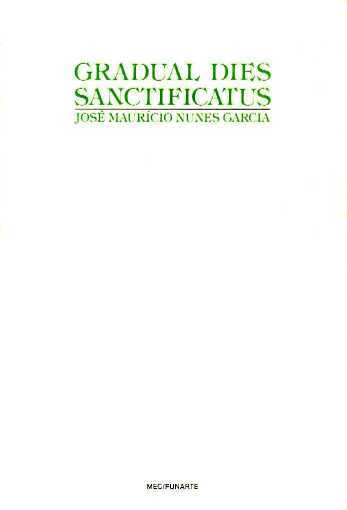 Catálogo Temático das obras do padre José Maurício Nunes Garcia (Thematic catalog of the works of Father José Maurício Nunes Garcia). Rio de Janeiro: Conselho Federal de Cultura, 1970. 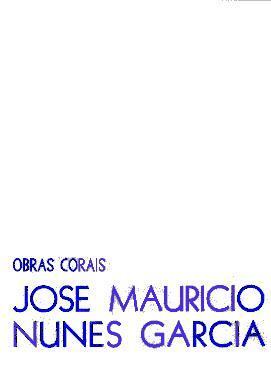 416 p.
Result of an exhaustive research for autographs and manuscript copies in music collections in Brazil and abroad, it contains all the preserved orks of Nunes Garcia. It includes a concise biography, based mainly in TAUNAY: 1930. 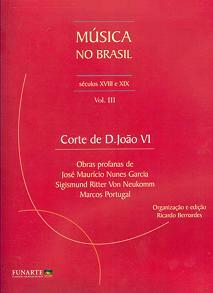 It is a pioneer work in Brazilian musicological research. MURICY, José Cândido de Andrade et alii. 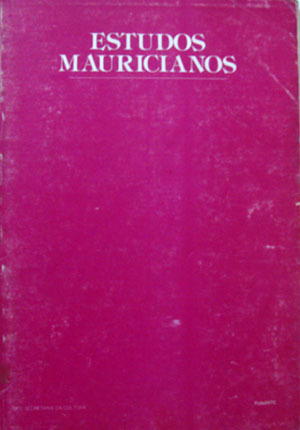 Estudos Mauricianos (Mauritian Studies). Rio de Janeiro: INM/FUNARTE/PRÓ-MEMUS, 1983. 88 p.
TAUNAY, Visconde de. A Small Biographical Sketch. Originally published in 1897 by Casa Bevilacqua, as an introduction to Nepomuceno´s reduction of the "Requiem" (CPM 185) to voices and piano. The "Biographical Sketch" and the subsequent works of TAUNAY established the biographical version of the composer as a champion of the German musical traditions, as opposed to Marcos Portugal, representative of the Italian bel canto, and the myth of financial decay after the arrival of the alleged rival to Rio de Janeiro. GARCIA Jr., José Maurício Nunes. Biographical Notes (with notes of Francisco Curt Lange). 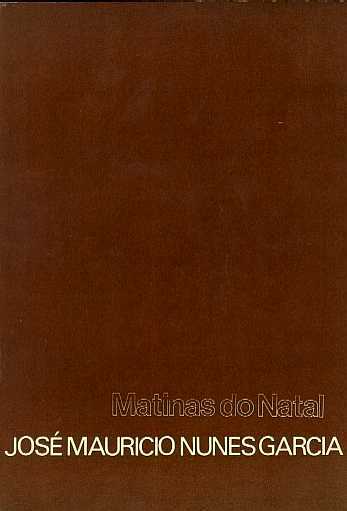 Written in 1863, as a requirement for admission as a correspondent member of the Brazilian Historical and Geographical Institute, the "Biographical Notes" are also precious source for a biography of his father. 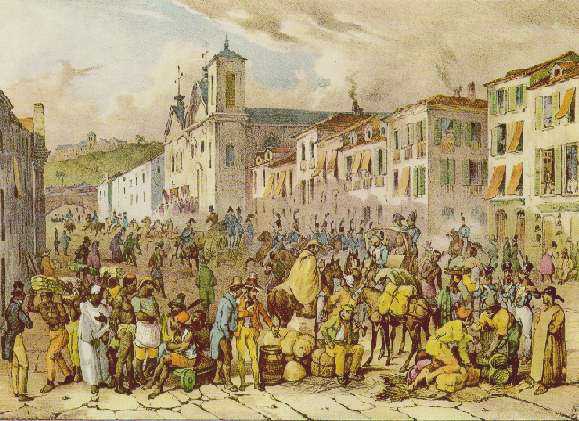 PORTO ALEGRE, Manuel de Araújo. 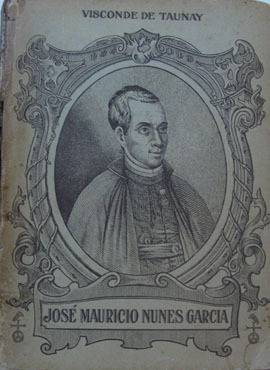 Notes on the Life and Works of Father José Maurício Nunes Garcia. BARBOSA, Januário da Cunha. Obituary (Nicrologia). Written by his superior and friend in the Chapter of the See, Januário da Cunha Barbosa, and published twelve days after his death, the Obituary is the first biographical note about the father master. 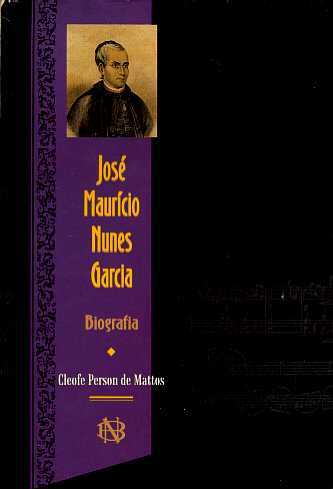 The Biographical Notes of Dr. Jose Mauricio Jr. corroborate most of the information in this text. There is only one inaccuracy: the birthplace attributed to Apollinario Nunes Garcia, composer´s father. 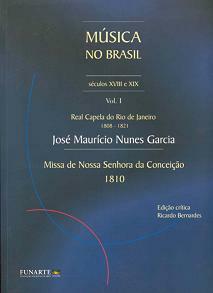 Noteworthy is the mention of an opening Dramatic Ouverture composed to the birthday of Viceroy Fernando [José de Portugal and Castro], then Marquis de Aguiar, who, by the time he ruled, from 1801 to 1806, can be any of the three known Mauritian instrumental compositions, or a lost work. AZEVEDO, Luiz Heitor Corrêa de. José Maurício in the Panorama of Brazilian Music. A tese central do texto é a de que, apesar da precariedade das condições materiais com que passou os últimos anos, José Maurício foi um expoente artístico da sua época. DINIZ, Jaime. The presence of José Maurício in St. Peter´s Brotherhood. NEVES, José Maria. 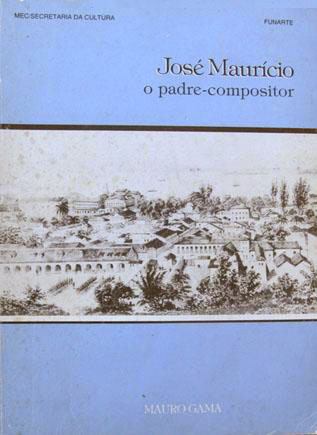 José Maurício and the eighteenth-century composers of Minas Gerais. KIEFER, Bruno. 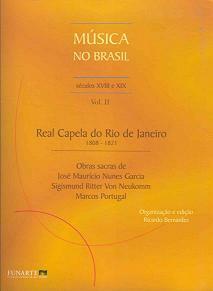 Secular Music by José Maurício. BRIGHENTI, René. 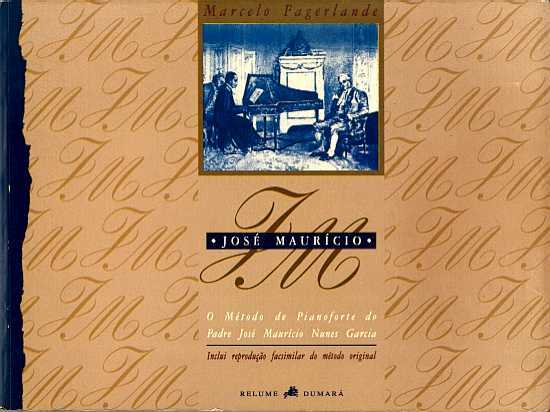 The funcionality of José Maurício´s music. FAGERLANDE, Marcelo. 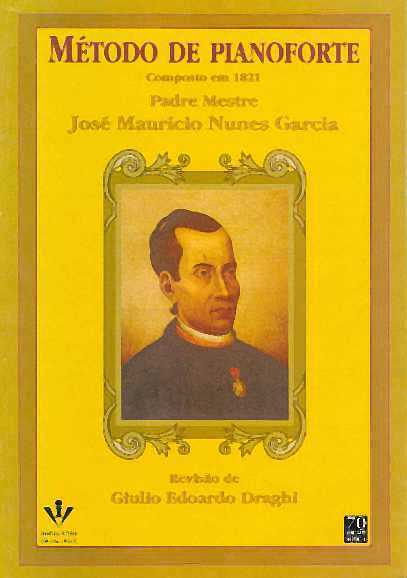 The Pianoforte Method of Father José Maurício Nunes Garcia. 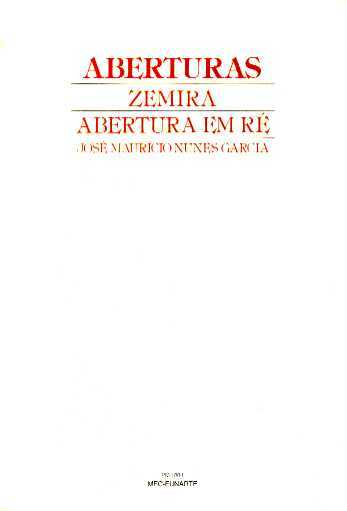 Rio de Janeiro: Relume Dumará, 1995. 168 p.
Dissertation, has a facsimile edition of the original method. MATTOS, Cleofe Person de. 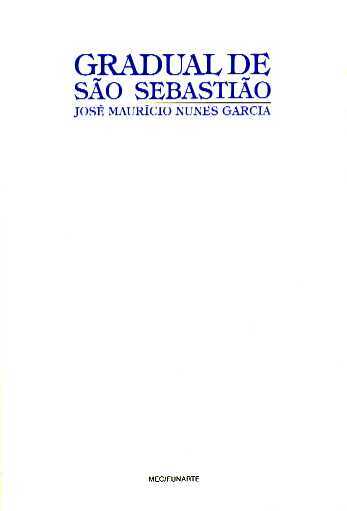 José Mauricio Nunes Garcia - Biography. Rio de Janeiro: Biblioteca Nacional, 1997. 396 p.
For the musicologist, the work represents the most comprehensive list of Mauritian documentary sources. 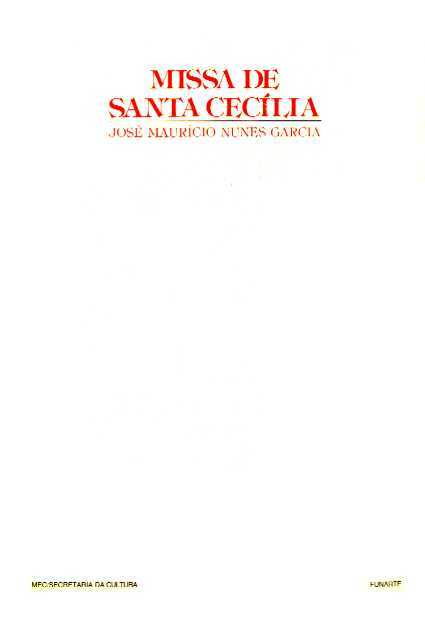 It has also a list of the father´s works in chronological order, so as to update the TC. The biography, however, can no longer be sustained with the available documentation. GAMA, Mauro. José Mauricio, the priest-composer. Rio de Janeiro: FUNARTE/PRÓ-MEMUS, 1983. 64 p.
Concise biography and analysis of Mauritian production. LIMA, Rossini Tavares de. 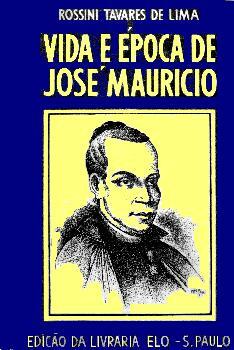 José Maurício´s life and lifetime. São Paulo: Livraria ELO, 1941. 126 p.
Biographical novel. It has a copy of the list of works published in TAUNAY: 1930. TAUNAY, Visconde de. 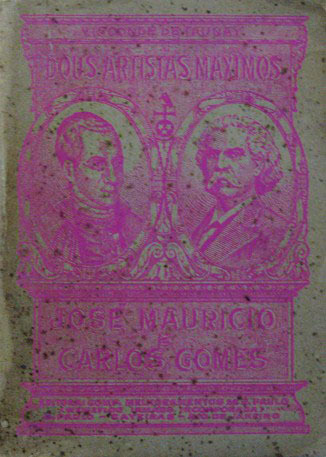 Two maxima artists: José Maurício and Carlos Gomes. São Paulo: Melhoramentos, 1930. 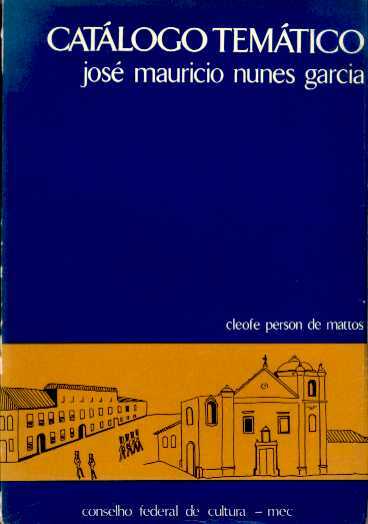 136 p.
MACEDO, Joaquim Manuel de. A walk in the city of Rio de Janeiro. Rio de Janeiro: Garnier, 1991. 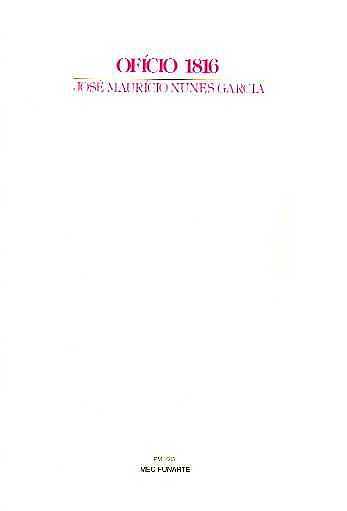 264 p.
It contains biographical sparse notes for the father, some of them reported to the author by his son. 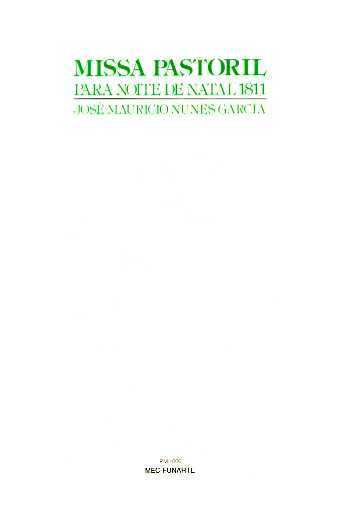 Originally published in two volumes, the first printed in 1862 in Impartial Typography JM Nunes Garcia; the second in 1863, in Cândido Augusto de Mello Typography. The author sold the rights to his work in the late nineteenth century, to Garnier Publisher. BARREIROS, Eduardo Canabrava. 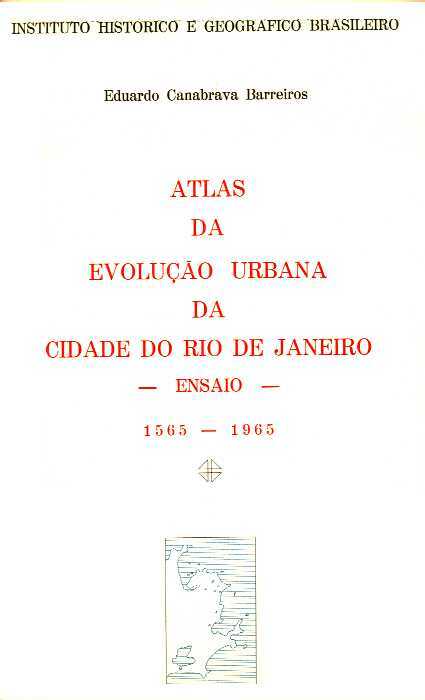 Atlas of Urban Evolution of the City of Rio de Janeiro - An Essay. Rio de Janeiro: Instituto Histórico e Geográfico Brasileiro, 1966. 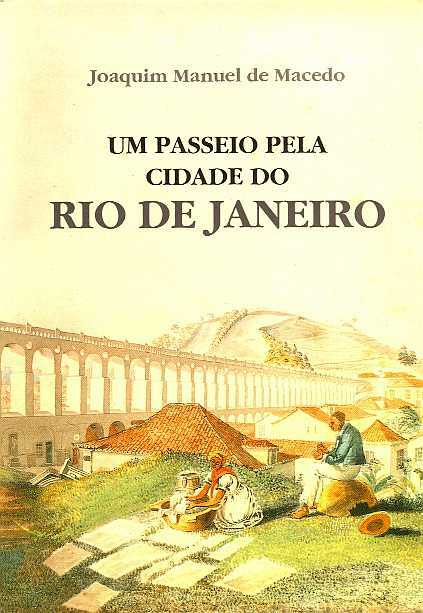 8 p.
A sequence of detailed maps of the urban layout of the city of Rio de Janeiro, from the foundation in 1565 until 1965. Picturesque and Historical Travel to Brazil. 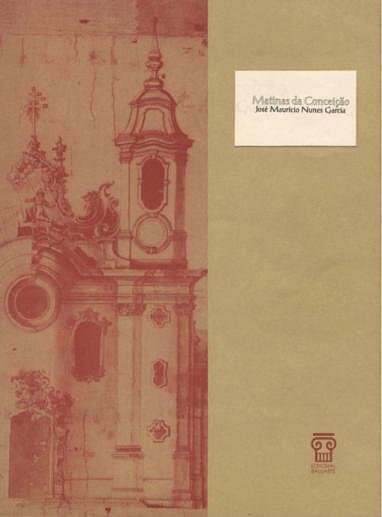 Rio de Janeiro: Itatiaia, 1992. v. 3, 278 p.
Score of several motets for Holy Week: Tenuisti Manum Dexteram Meam (CPM 218-7), In Monte Oliveti (CPM 218-2), Domine Tu Mihi Lavas Pedes (CPM 198), Judas Mercator Pessimus (CPM 199), Domine Jesu, Improperium Expectavi (CPM 218-10), Popule Meus (CPM 222), Crux Fidelis/Felle Potus (CPM 205), Sepulto Domino (CPM 223). 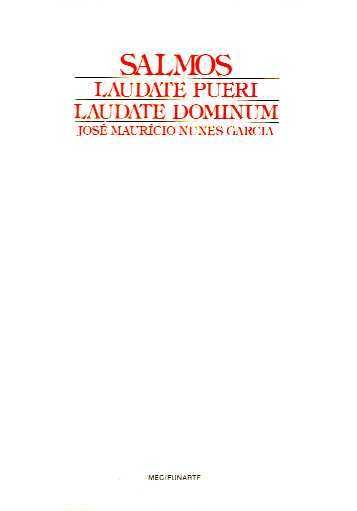 It has an extensive list of works never published before: the antiphons Sub Tuum Praesidium, CPM 2, Magnificat for the Vespers of Our Lady, CPM 16, the Motet Te Christe Solum Novimus, CPM 52, two psalms based in Haydn's Creation, Laudate Dominum Omnes Gentes, CPM 78 and Laudate Pueri Dominum, CPM 79, the Te Deum for Our Lady's Ascencion Matins, CPM 91, Te Deum in D, CPM 96, the sequentia Lauda Sion Salvatorem, CPM 165, two works for Holy Week Misereres, CPM 194 and CPM 195. The third volume is dedicated to the secular works, featuring: Zemira Ouverture, CPM 231, the theater plays Ulissea, Drama Eroico, CPM 228, and The Triumph of America, CPM 229, and the Choir for the Intermezzo, CPM 227. 1 RUGENDAS, Johann Moritz. 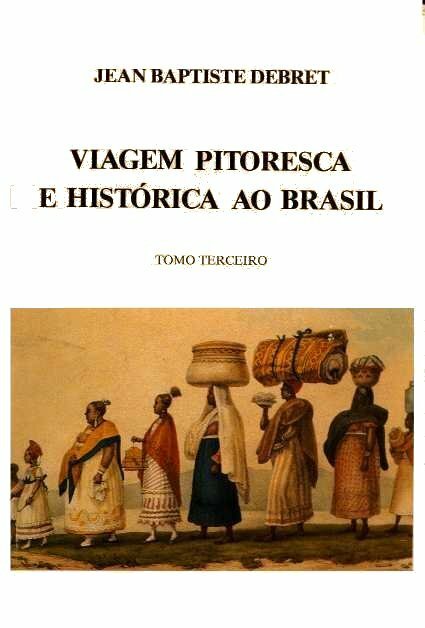 Viagem pitoresca através do Brasil [A Picturesque Journey Through Brazil]. Rio de Janeiro: Itatiaia, 1998. pr. 13.